Jasper, an aggregate of microgranular quartz and/or chalcedony and other mineral phases,is an opaque, usually red, yellow, brown or green, and rarely blue. Found worldwide. 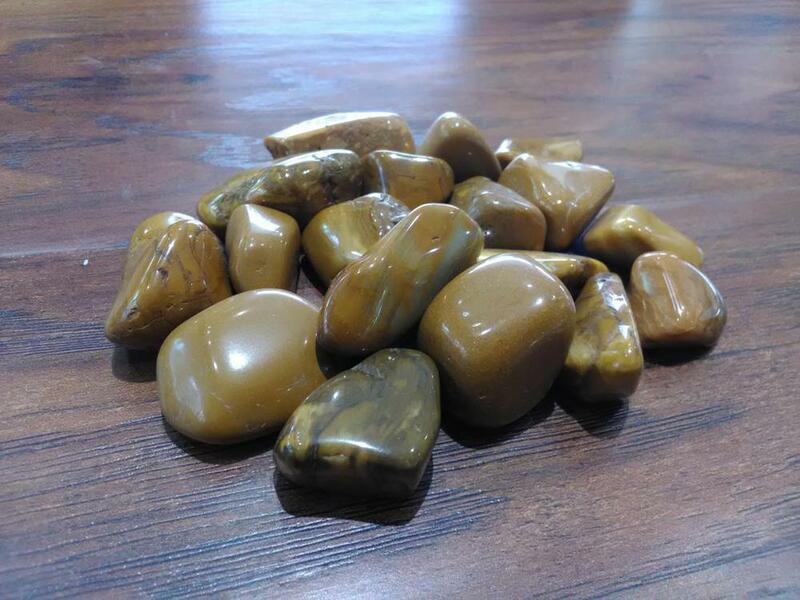 Yellow Jasper is for deflecting jealousy, and makes an excellent shield if you are the object of petty gossip. Wear to ease chronic worries and self-consciousness about what others say or think, and to help overcome embarrassment when eating alone in public.